CarGurus has 8,484 nationwide Patriot listings starting at $2,480. The 2008 Jeep Patriot has a lot to offer at an affordable price. Launched into an ever-shifting SUV segment that is in disarray due to volatile gas prices, the Patriot is priced at about the same level as a compact sedan, yet comes with such standard features as antilock brakes, traction control, an electronic roll-mitigation system and side-curtain airbags, as well as all that typical SUV interior space, all delivered in a rugged-looking package that hearkens back to Jeeps of an earlier era while remaining contemporary for today's buyers. Of course, to achieve its affordable price, something had to give, and in this case it's a standard 4-wheel-drive system. The base Patriot, called the Sport, is a front-wheel-drive vehicle with a 2.4-liter, double-overhead-cam 4-cylinder engine that produces 170 horsepower. A 5-speed manual transmission is standard. The base Sport comes with a stripped-down list of standard features, but still includes bucket seats, a 4-speaker AM/FM stereo system with a CD player, a tilt steering wheel, intermittent wipers, an anti-theft system, rack-and-pinion steering, halogen headlights and brake assist, which provides maximum braking in emergencies. As far as that front-wheel-drive system is concerned, research shows that only a small percentage of today's SUV drivers actually go off-road (according to Jeep), so off-road capabilities aren't required in a typical suburban SUV. But for those who seek a less traveled route, the Patriot is available with a choice of two optional 4-wheel-drive systems. The Freedom-Drive I, designed for light off-road capability, is a full-time 4-wheel-drive system with a lock mode, which can handle deep snow, sand or other difficult surfaces at speeds under 10 miles per hour. The Trail-Rated Freedom-Drive II Off-Road Group is an off-road package that merges 4-wheel-drive capability with an optimized engine and transmission for rock crawling, as well as such features as hill descent control, brake lock differentials, a 1-inch higher ground clearance, a heavy-duty cooling system and body sealing for water-fording capability. For better fuel efficiency, the Patriot is available with an optional 158-horsepower, 2.0-liter 4-cylinder engine with variable valve timing. It's available only in the Sport 4x2 with a continuously variable transmission (CVT) for maximum efficiency. However, drivers and reviewers have noted that while it's efficient, the CVT can be noisy in aggressive motoring situations, such as when accelerating rapidly or ascending a steep slope. In addition to the Sport 4x2 and 4x4 models, the Patriot is available in more feature-laden Limited 4x2 and 4x4 versions. 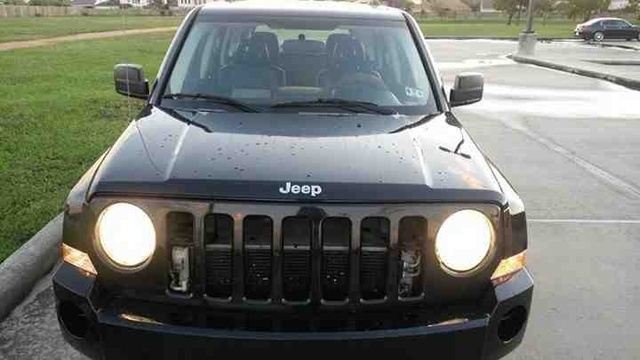 What's your take on the 2008 Jeep Patriot? 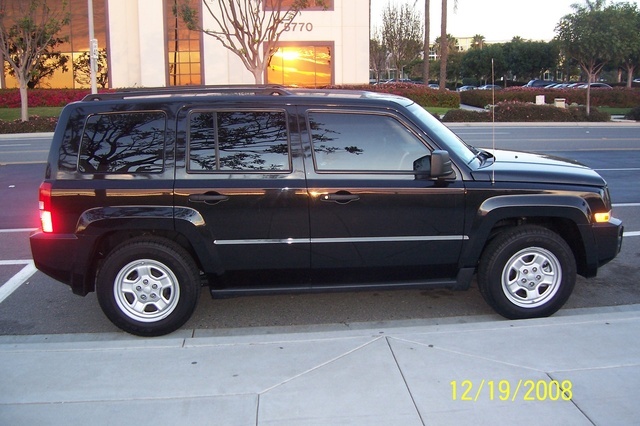 Have you driven a 2008 Jeep Patriot? Bucking After I Fill Up With Gas. How do I find out if the price I have listed is fair, good or great? $5975 It has 138k miles...in good condition.